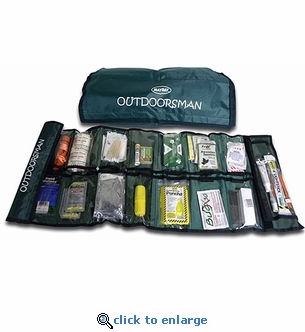 The outdoorsman kit is a convenient emergency survival kit that rolls up into one easy carry bag. Whether hunting, camping, hiking, backpacking or travelling the wilderness, this survival kit can help tremendously if you're ever stranded or need rescued. This kit is a smart gift for any outdoor adventurer you know.